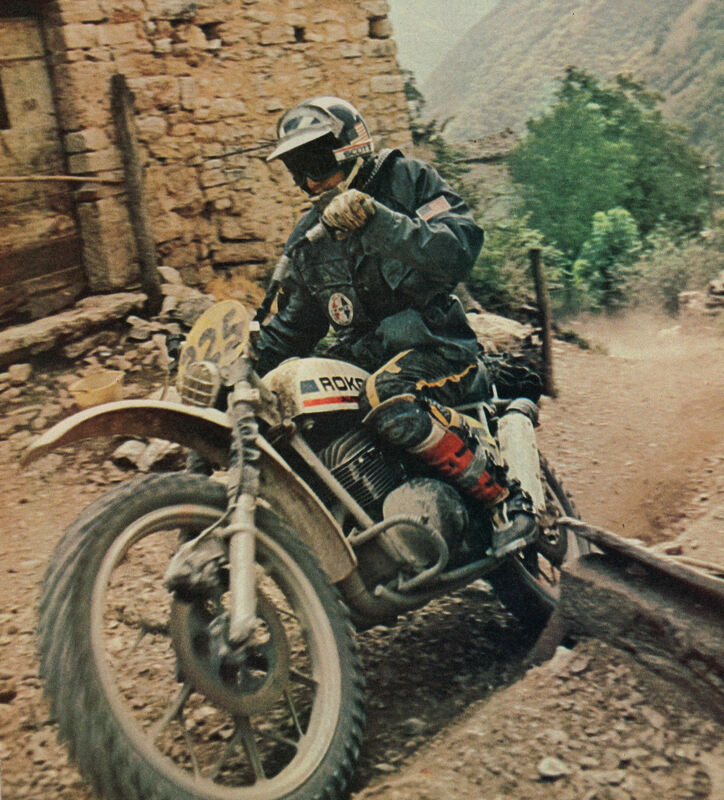 Filmed and produced for Penton Motorcycles this interesting Pro movie shows the changing nature of the ISDT as well as the technology that was being developed. 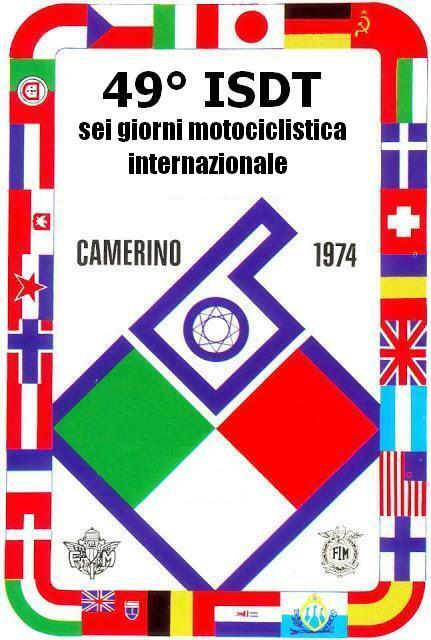 “I had ridden several Italian events and I knew the Trial would be hard….It was!” Thus quoted John Pease, British Trophy Teamster. This book contains results, maps, drawings, classifications, interviews and full background information as the result of many years of research. 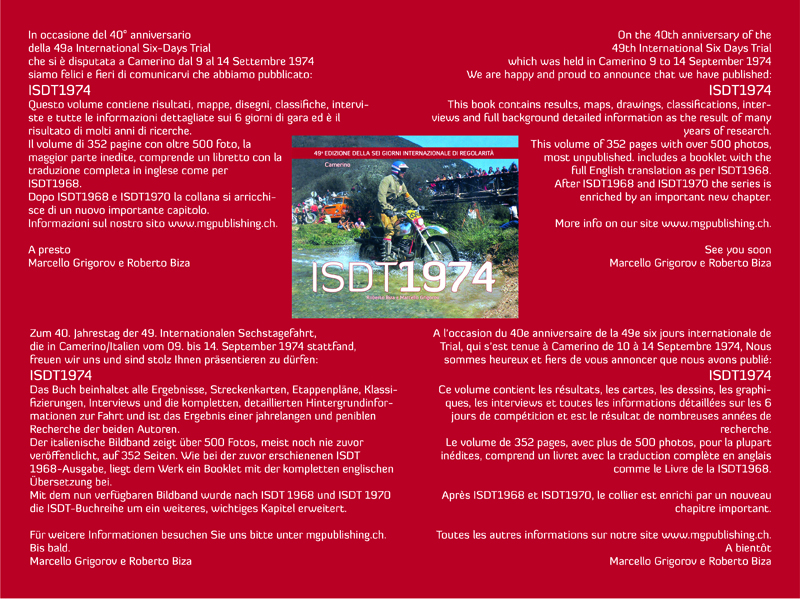 This volume of 352 pages contains over 500 photographs, many previously unpublished and includes a complete English translation booklet in the same manner as it’s sister publication “ISDT 1968” After the publication of that book and the “ISDT 1970” book by Javier Benito, this volume adds an important new chapter in the history of this event now with over 100 years of tradition. Authors Marcello Grigorov and Roberto Biza. The above picture is of Jim Hollander as US rider on what looked a futuristic design with Disc brakes, Mag Alloy Wheels, and Automatic Transmission. They even produced 2 wheel drive farm bikes all started by a pull cord like a lawnmower.